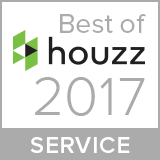 Realty Restoration, LLC was awarded Best of Houzz in 2017 for Service, as well as 2015 for Design and 2013 for Service. Realty Restoration is an active member of the Austin NARI Chapter. Every year after the Tour of Remodeled Homes NARI donates 15% of the ticket sales to Wonders & Worries, a local non-profit organization that provides support and counseling for children with a parent battling an illness. 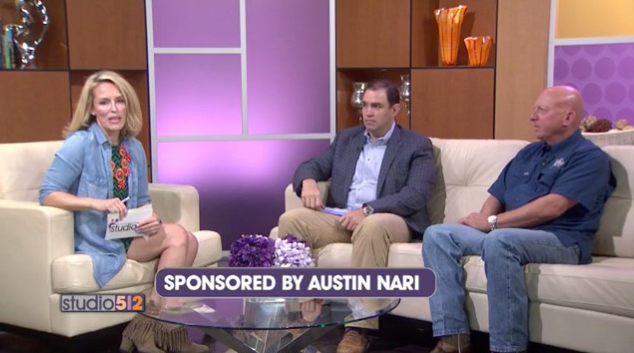 Studio 512 from the KXAN news station invited over our very own David Davison (former NARI president) and Jeff Bullard (current NARI president) to promote this weekend’s annual Tour of Remodeled Homes. This year there are nine unique homes showcased on the tour. Two of which are Realty Restoration + Twelve Stones Designs projects, House #2 on Preservation Cove and House #5 on Lost Horizon Drive. Come check out these incredible home makeovers and meet your local remodelers and contractors! 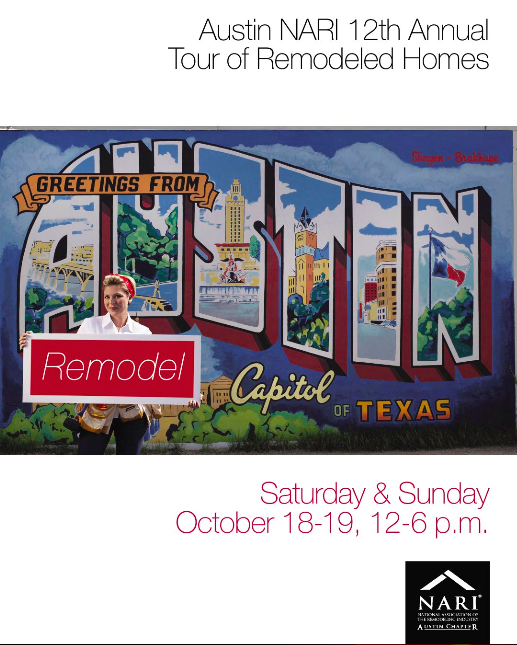 14th Annual Tour of Remodeled Homes! It’s that time of the year again! 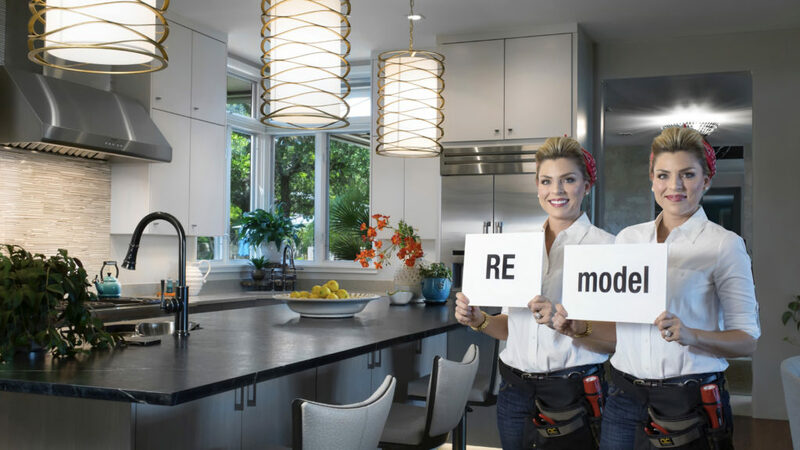 NARI’s annual Tour of Remodeled Homes is almost here and Realty Restoration has paired up with Twelve Stones Designs for 2 incredible projects that will be showcased on the tour this year. Our first project is House #2 on Preservation Cove and the second is House #5 on Lost Horizon Drive. If you’ve been contemplating a remodel or are just looking for some new ideas to spruce up your home come check out the 9 unique homes on this fun tour! The tour will be from 10am-6pm on Saturday the 24th and Sunday the 25th. The national Chrysalis Awards has recognized our team’s hard work again! This year we were awarded ‘Kitchen Remodel $75,000 – $150,000’ for our project on Farhills Drive with our team member Twelve Stones Designs. We are so honored to be representing the remodeling industry again on a national level! Realty Restoration wins double at Nationals! It was a pleasure for Austin to be the host city of this year’s National NARI ‘Contractor of the Year’ Awards Banquet. An even better surprise was walking away with 2 nationally recognized awards! We are so thankful for our team’s hard work this past year paying off in such a substantial way. Great job, team! 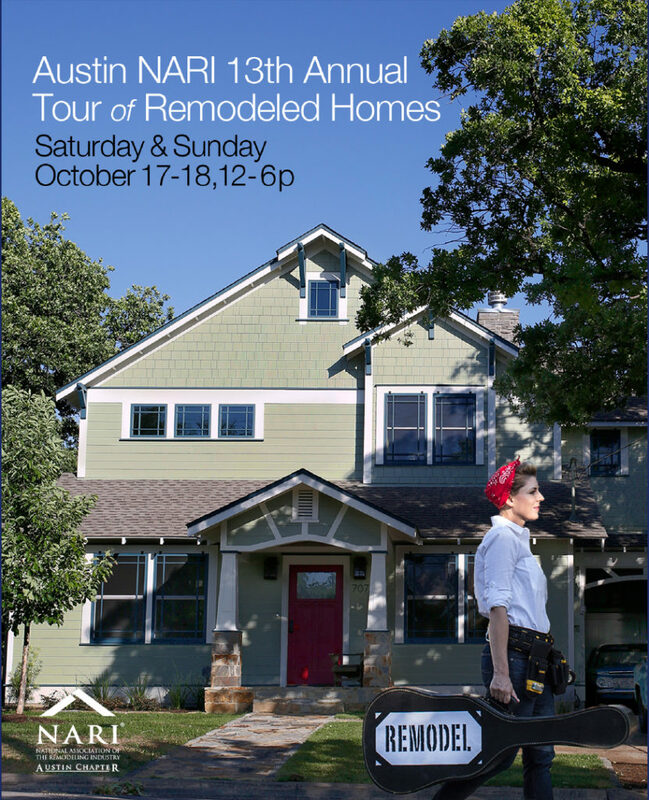 The annual Austin NARI Tour of Remodeled Homes is almost here and we are so excited to have 2 homes on the tour this year! Realty Restoration and Twelve Stones Designs teamed up for a whole house remodel on Two Coves Drive (House #11) as well as another whole house remodel on Farhills Drive (House #10). It’s going to be another great year with so many talented contractors, remodelers, and designers on-site to answer all of your questions. We hope to see you there! Realty Restoration, LLC was awarded Best of houzz in 2015 for Design, as well as in 2013 for Service, specifically Customer Satisfaction. We’re excited to announce that Realty Restoration and Twelve Stones Designs have been selected to showcase another project on this year’s annual Tour of Remodeled Homes! This is one of our favorite times of the year when all the hard work pays off. Our house is #2 on the tour on Astoria Drive out in Bee Cave. The tour is taking place on Saturday and Sunday October 18th-19th, from 12pm-6pm both days. National ‘Residential Exterior Specialty’ Award! Wow, back-to-back years at Nationals!? The awards banquet was held in New Orleans this year. Our team came home with our second National NARI ‘Contractor of the Year’ award, and we are on cloud 9 all over again! Our project on Small Drive that needed an exterior face-lift was awarded ‘Residential Exterior Specialty’ for the pool remodel. We couldn’t be more proud or thankful right now! Our Portfolio features numerous examples of our award-winning renovations. Send us a message or call us at 512.454.1661 to schedule a consultation to discuss your remodeling project.